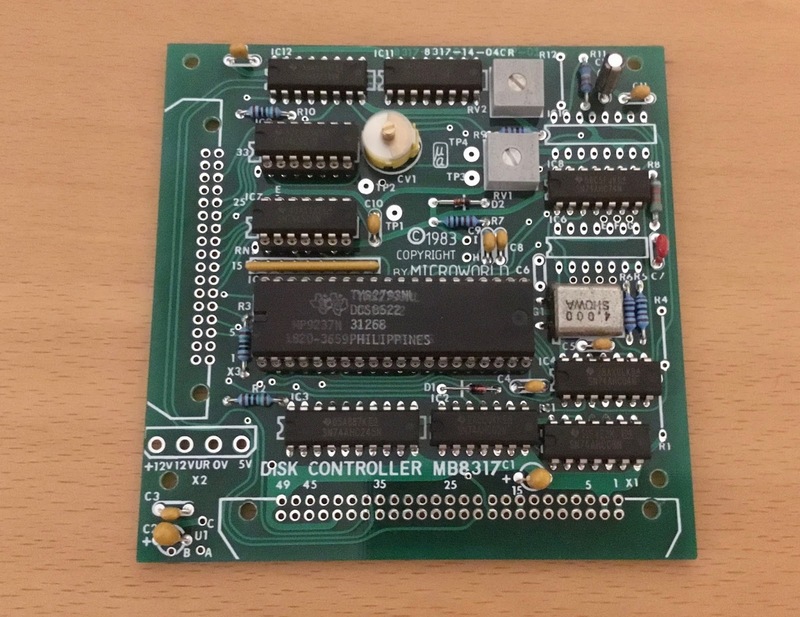 Suzy's Blog: A new Microbee disk controller, from original design films. A new Microbee disk controller, from original design films. One of the guys at the Microbee Software Preservation Project got his hands on design films for a Bee disk controller, so he imported them into KiCAD as image files, cleaned them up, and generated beautiful Ger bets that look exactly like they were made with Bishop graphics. He sent me one of the resulting PCBs, and I spent some time last night throwing it together, using bits from my junk box. Note the cool labelling on my TI TMS2793 floppy disk controller IC. The bit on the right comes off when scrubbed with isopropyl, revealing the writing on the left. It’s still a TMS2793, but with a HP part number. I wonder if TI was responsible for the relabelling way back when?